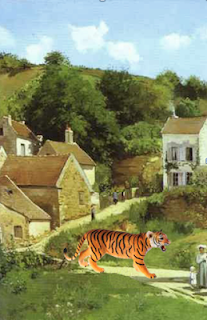 After formerly expressing profound doubts I hjave about the quality of my current novel, The Silence of Tigers, to be published by Penguin early next year, I have now decided I like it again. I’m doing a ‘pass’ over the first draft, just to make sure the characters’ names are spelled the same way throughout, and I haven’t committed any howlers involving bad grammar, bad choice of words and just general badness. The reason I disliked the novel was that I really hadn’t visited it again since my stroke, and was more or less under the impression that everything I’ve been writing lately must be terrible. The book has a plot that’s embasrrassingly simple and old fashioned – boy-gets-girl, boy-loses girl, boy gets back girl by showing extraordinary strength, kindness or magic, or thermo-dynamics or whatever. There are my trademark explosions. The book will annoy some people, I think, because it examines the theme of comedy and how we are both united and divided by it. This means I have had to include examples of jokes in their many forms. What I find funny, you may not, and yet you will insist that you have a sense of humour, in the same way that I defend mine. 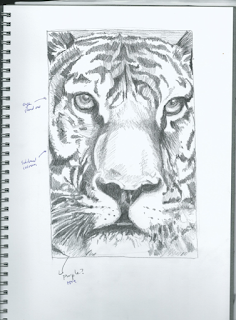 I did mention in my last post that the title ‘The Silence of Tigers’ is far too poetic and would be changed. For the time being the book will be known as The Best Joke in the World, which shows hubris on my part, as I know that critics just love to attack comedies. (Particularly if you're promising something pretty funny, such as 'the best joke in the world'. There was a famous TV critic, tragically no longer with us, who would just itch to savage any new comedy that came to Australia’s TV screens. His name was Ross Warrneke, and his vitriol became so inevitable, that I stopped sending him preview copies of new shows I had made. This naturally made him angry and he went out of his way to watch the show as it went to air. He then did what many critics do when they feel like savaging a comedy. He quoted jokes entirely out of context and challenged the reader to find them funny. The best jokes in the world can be made to appear lame, if you don’t quote them correctly, or you quote the setup but not the tag, or vice versa. One of Warrneke’s more surreal pronouncements involved the early Kath and Kim shows, which were gaining quite a following. He refused to budge from his view that the show was awful, and that’s fair enough. The man was entitled to an opinion, after all, and was indeed paid for it. But the most bizarre thing he wrote was a piece where he blamed newspapers for elevating the show’s status by overpraising, such as trumpeting that two and a half million Australians had watched one of the episodes, which was apparently some kind of record, but Mr Warrneke was surreal enough to remind readers that this meant 17,500,000 Australians hadn’t watched the episode. Mr Warrneke is missed by many, and there was a good turn-out for his funeral. About 250 Australians attended, quite an impressive number. Mind you, this means that 19,999,750 Australians didn’t attend. It’s all a matter of perspective, you see. Amazingly, whole episodes of the some of those comedies I produced at the end of the eighties are appearing on YouTube. 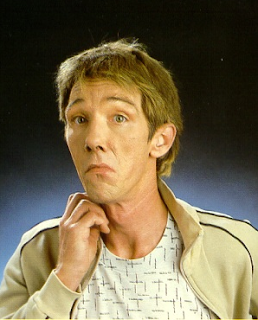 It looks a bit jaded after all these years, but I still find Kim Gyngell's performance terrifically funny. We made the show for next to nothing. Unfortunately, it shows. I don't know how you managed to get these, Stig, but well done. Anyone who has the staying power to last till the end of the episode will see the first use of CGI ever in an Australian sitcom. It cost us a thousand bucks to make the penguin wink. It was a hell of a lot of money for such a little bit of CGI, but I was the producer - see, that's my name at the top of the show - and I decided that the show really needed a stronger tagline, hence the CGI bit. Hell, it was channel Ten's money and I didn't like them very much. But enough about TV. 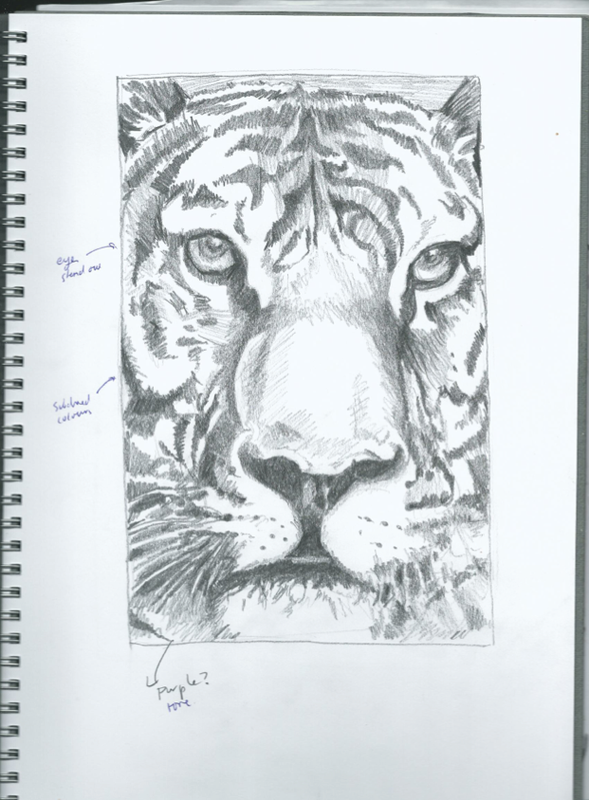 Going back to the original title of the book, The Silence of Tigers, it is actually relevant to an incident in the book, but I had to tweak that incident just enough to make the title work. And the title was born when I gave a talk about comedy books at The Wheeler Centre. I mentioned the Vonnegut classic, The Sirens of Titan, thought by many, myself included, to be a comedy science fiction classic. Certainly, Douglas Adams was a fan and he seemed to have a pretty good grasp of what was funny. After my speech, a lady came up to me and asked me if she’d written down the title correctly, because it seemed a bit odd. What she had written was The Silence of Tigers, which is apparently what it sounded like when I said The Sirens of Titan, with my temporary speech impediment.. It struck me that this was a very beautiful title, and I was surprised to find that it fitted my current manuscript quite well. There are actually two tigers in it, but the don’t feature centre stage like Richard Parker in The Life of Pi. Another great rough cover idea, though, sadly, no longer relevant to the book. Amy Thomas, my new editor, probably anticipated some puzzled rumblings from Penguin’s marketing division, and politely gave me a suggestion list of alternative titles. They were good, and some of them even retained the reference to tigers, but none really grabbed me. So, for the moment we’re calling the book The Best Joke in the World, and keeping our fingers crossed that Mr Warrneke doesn’t rise from the grave. Anyway, I quite like the book now. It won’t make any shortlists, because it isn’t that sort of book. It sets out to amuse, which is hardly a very lofty ideal and pretty much guarantees being passed over by the gatekeepers, but we don’t write to be featured on shortlists, although of course it’s lovely when it happens. Having written and published about a novel a year since I left full-time TV work in 2002, and having never featured on a shortlist of any kind, it was my firm pronouncement when I handed Penguin the manuscript of The Life of a Teenage Body-snatcher that I had made a book that was quite incapable of being included on any prize lists at all. I was utterly gobsmacked when it appeared on two shortlists, and even got an ‘Honour’ in The Australian Children’s Book Council awards. Suddenly the universe had changed. The Shiny Guys, my last book, also managed a decent showing in the shortlist stakes; it’s a weird book, certainly not classic ‘shortlist’ material, but I think it was considered ‘worthy’; by some people, because it was funny, but about clinical depression. (At least I knew my subject quite well.) It seemed the best way to make the shortlists was not to try to write something that you might consider to be suitable shortlist fodder. So, who knows? Maybe a book called The Best Joke in the World might end up on someoine’s shoretlist, even if it’s just Books I wish I could unread to give me the time to read something that’s actually good. While we can pronounce shortlists as ‘unimportant’ that is, of course, hooey. We writers rely on this sort of attention for sales. A nod from the ACBC immediately guarantees a reprint as every school library in Australia does its darndest to obtain a copy. A shortlisting doesn’t just bump up royalties, it means that PLR/ELR, the annual grant that all Australian writers receive as compensation for books unsold owing to library purchases, goes up. This is an immensely important stipend, and without it many authors would find life much tougher. We also get money from the copyright agency, as reimbursement for our works that are photocopied. Gradually, provided you can remain in print, it becomes possible to make a living as an author. It’s not a terribly glamorous living, but it’s not as if I am performing a vital function in writing books about tigers and jokes. Although I must say I’m glad that when I was a kid I could read Australian novels by Mavis Thorpe Clark or Ivan Southall or Patricia Wrightson. Mavis Thorpe Clark even wrote a book about where I grew up in Gippsland in Blue Above the Trees. It was wonderful to be able to read about a landscape I knew, and I’ll never forget the bit about the burning, where our principal characters stand at the outskirts of a forest fire and are suddenly crawling with waves of huntsman spiders, desperately escaping the inferno. Images like that don’t die easily. I hope we can say the same for the Aussie book industry. Lunch with my editor and other tragedies. On this very cold and wet Melbourne day I trammed into town to meet with my new editor, the lovely Amy Thomas. We had a new book to discuss, one that I wrote ages ago. (I confess I have reservations but will do my darnedest to make the book better). On the way to Penguin headquarters near Southern Cross station, I passed some men who were cleaning some seriously disgusting graffiti from a wall. The rain started pelting down and a toxic slurry produced by their efforts ran over the footpath and into the gutter, even though they seemed to be taking all necessary precautions. The big sponges and buckets were there to collect the toxin; it was the driving rain that caught us by surprise. Only a fool would be stupid enough to tread in this slurry(especially as there were signs telling us not to do so), and I avoided it. What I didn’t know was that I had merely avoided walking in the painty part, but there was apparently a corrosive acidy part, invisible to the naked eye. And my eyes are particularly naked. As I sat in the classy Penguin foyer I looked down and realized there was a row of footprints on the floor, leading directly to where I was sitting. What the hell was on my shoes? Stupidly, I thought I would avoid detection by moving to a different seat. All that happened was I made more footprints. Even a child of three would be able to follow the path and link the footprints to me. I was the person who had destroyed the trendy penguin foyer with my painty shoes. But this wasn’t paint. A cursory examination of my shoe heel confirmed there were no paint splotches, but that my rubber soles were in fact dissolving. The only way to deceive anyone about the source of the ugly black marks would be to crawl on my hands and knees to a different chair. I actually considered it. But my life is not pure slapstick. I was resigned to being identified as the foot vandal. Ben Whishaw looking far too pretty to be the mass murderer Genouille in the movie, Perfume. I have just given my feet the Karen Silkwood scrub. All toes are intact, I’m pleased to report. The book we were supposed discussing at lunch is a romcom for teens where comedy is examined in detail. It can both destroy relationships and build them. It also invites the reader to note that some things that may later seem comic were tragic at the time. For the moment, the book is called The Silence of Tigers, which is far too poetic a title and will undoubtedly be changed. My favouriste designer Karen Scott came up with some very early and rough cover ideas. I really like this one, though i'd be surprised if the cover ends up looking like this, especially if we change the title. Kevin the Troll is officially out of print, and has been for a year. There are about two thousand copies in schools and libraries so I hope you are lucky enough to find a copy. It was fun to write about a main character who wasn’t terribly nice, even though he has his reasons for being nasty. I finished writing this book on the day of the second-last Federal election. I always vote. I like to think I can make a difference. And I don’t mind queueing at the St Kilda school to do it. You meet interesting people in queues, especially in StT Kilda queues. But on the day I was finishing off the manuscript for Kevin the Troll, I was so thrilled with how easily the story seemed to come that I completely forgot about voting and I didn’t care! I happily paid the fine (and writers on the whole are not happy to pay for anything.) I did try to say in my defence that I was writing a very good book at the time and couldn’t be disturbed. (Smarty-pants excuses like this don’t go down well with the electoral office. Not that I’ve used smart-pants excuses before . I’ve always voted and happily paid two dollars for a charred sausage on Home Pride bread with White Crow tomato sauce.) The one hundred and sixty page manuscript was delivered to Penguin on the following Monday. I was slightly nervous, because what I wrote on my website is true. 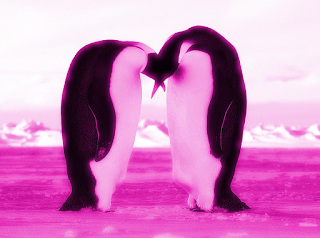 Penguin wanted me to write another book like I’m Being Stalked by a Moonshadow, a sort of romcom for boys. Trolls had never been mentioned in the deal. But I got writer’s-blocked, as usual. Although I have now finished the romcom and am editing it with Amy Thomas at Penguin. (New editor! How exciting! Though I think I’ll miss my old editor, Dmetri Kakmi. Kevin the Troll is dedicated to him. One of the trolls is named after him. He hangs around a lot with the troll call Barberastreisand. Writing Kevin the Troll was my rest and relaxation from the romcom. 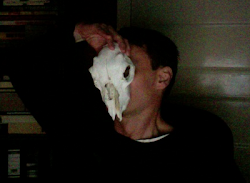 It gave me an excuse to surf the Net for cool sites about Scadinavian mythology. It also gave me the opportunity of doing the talking book version. 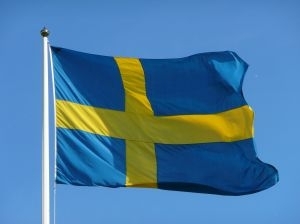 I’ve not actually listened to it, but I’m told that my Swedish language skills are borderline at best, even though I did get a brief language lesson from the kind people at the Swedish church in Toorak. Kevin the Troll also gave me the opportunity of writing things that were funny but not particularly relevant to the plot. The book sort of wanders along and takes to very occasional diversion from the plot, which is what Nordic sagas are supposed to do. But now Kevin is off to Walhalla. Penguin has come up with the absurd excuse that the book isn't making a profit for them. Most unprofessional of them. There will be something visually amusing here as well, when I've fixed the glitch. Kevin fan Emma Hancox has written Kevin's Epitaph in the form of a poem. Thank you, Emma, I'm sure Kevin would have loved it. It's got that delicate balance of niceness and creepiness, which is difficult to achieve, bt you've puled it off nicely. There are no awkward lines that have been tucked in, just to make a rhyme. Thanks again, Emma, for your good work, and shame on your teacher for not believing you wrote it. Kevin The Troll is near. 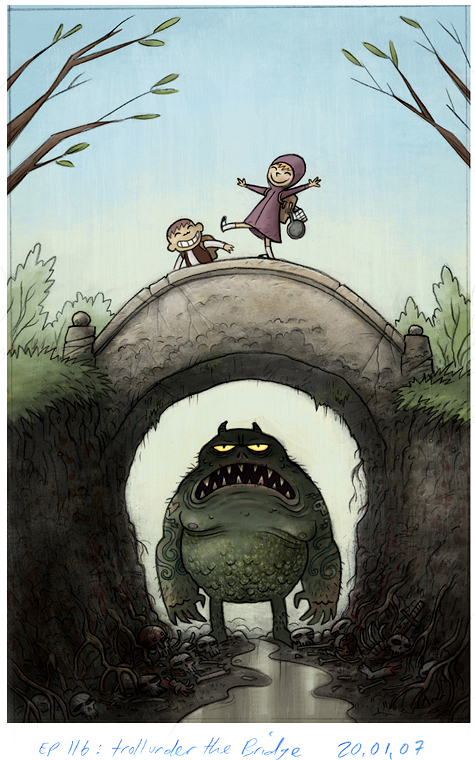 This wonderful picture of a troll skulking under a bridge and no doubt contemplating his next meal, was done by Dogstar artist Scott Vanden Bosch. I am using it without his permission, but I think he'll be okay about it because it just shows how highly I rate his work.